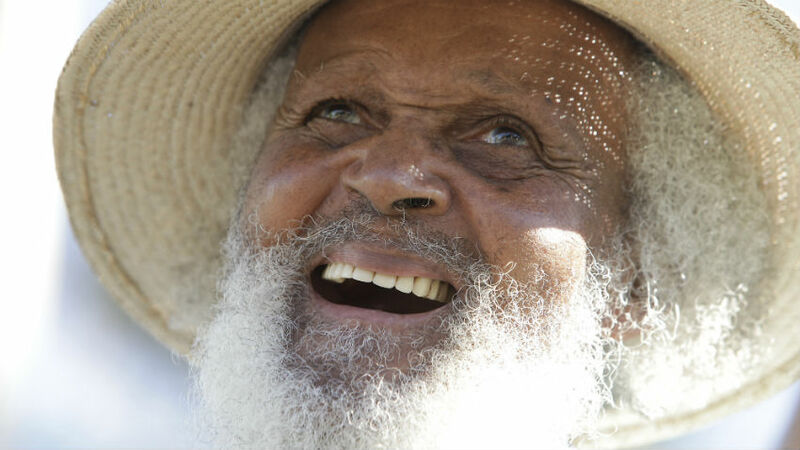 A New York-based filmmaker has released a short documentary that explores the positive effect that well-known local greeter Johnny Barnes has on the island’s children, with the film showing at the Bermuda Film Festival. Welcoming Arms features its subject, Johnny Barnes, along with the music of local musician Live Wires and the artwork of Lisa Ann Rego, along with local children from the Hines, Kempes, Riley-Smith, Rose, Camara, Cabral, and Snelling families. The director said, “The phrase ‘welcoming arms’ refers to a style of staircases typical of Bermudian architecture where the curved shape of the walls flanking the stairs span out at the entrance to resemble outstretched arms. “When I first got the opportunity to meet and observe Johnny, I was amazed how the only times he occasionally broke from his waving and shouting was to drink water. “My first response: he must be crazy or a religious fanatic, much like the reaction of many Bermudians who first saw Johnny at the roundabout 31 years ago. “It is not a responsibility to the people. It is simply to bring himself joy. You are so deserving of all the accolades that you get! The mornings that I do drive in Hamilton, I get a smile, kiss blown to me and an “I love you.” EVERY woman should receive that treatment daily. I’ve recently met the ‘man of my life’ and he gives me all the affection I need. But thank you Mr. Barnes for brightening my day when I do pass East Broadway! Blessings and Love to you, your wife & family. Very deserving, but I’m waiting for the one on Dr. Roosevelt Brown who made a GREAT contribution to Bermuda and around the World, a TRUE HERO in Bermuda’s History.